Landscape painter. Born in Hanover, IL on December 5, 1883. Although artistically inclined at an early age, White did not pursue an art career until he was in his thirties. After receiving a Bachelor of Arts degree from Notre Dame University in 1902, he studied textile design at the Philadelphia School of Applied Arts until 1906. A few years were spent as assistant professor of chemistry at Portland University and as a textile designer in his parents’ factory, the Hanover Woolen Mills. 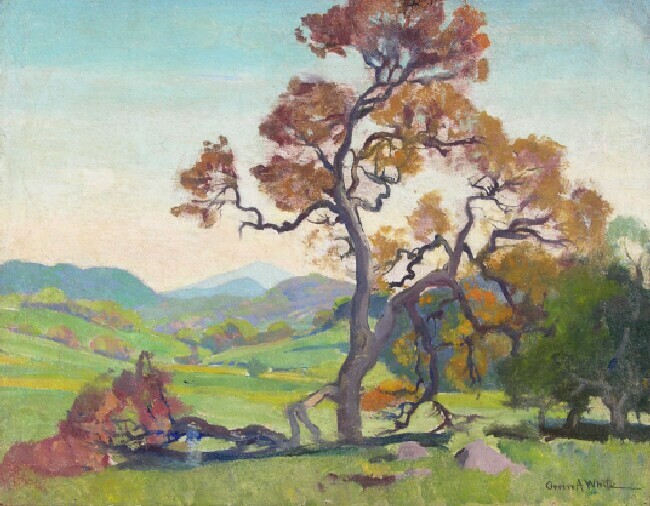 Tiring of this line of work, he moved to Los Angeles in 1912 and worked for an interior decorating company while painting landscapes in his leisure. 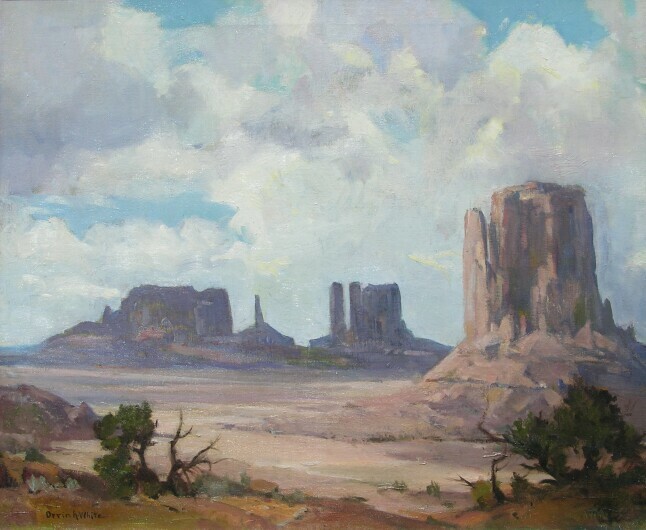 When his work was accepted for exhibition at the Panama- Pacific International Exposition in 1915, he decided to devote full-time to painting. White's art career was briefly interrupted during WW1 when he served as a second lieutenant in the 40th Engineers Camouflage. 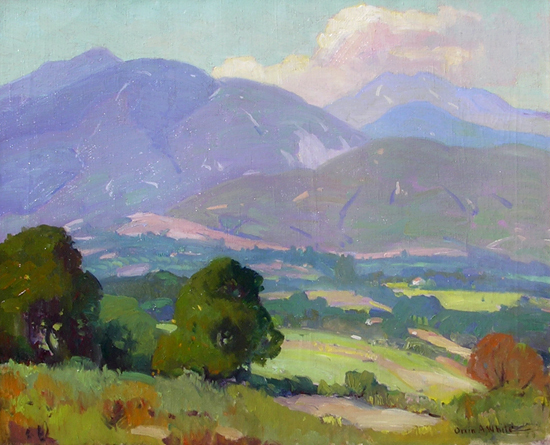 Upon discharge, he returned to Los Angeles and from that time earned his living as a landscape painter. 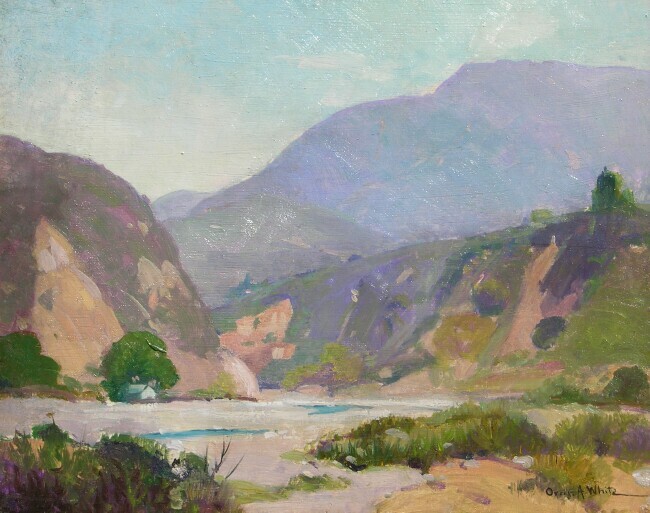 Married in 1923, he built a studio-home in Pasadena and made regular sketching trips to Palm Springs, the Sierra, and into Mexico in search of subject matter. White died in Pasadena on April 28, 1969 having acquired national renown. 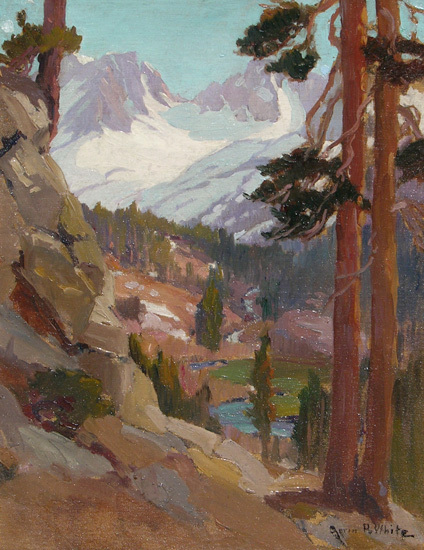 Member : Academy of Western Painters; California Art Club. 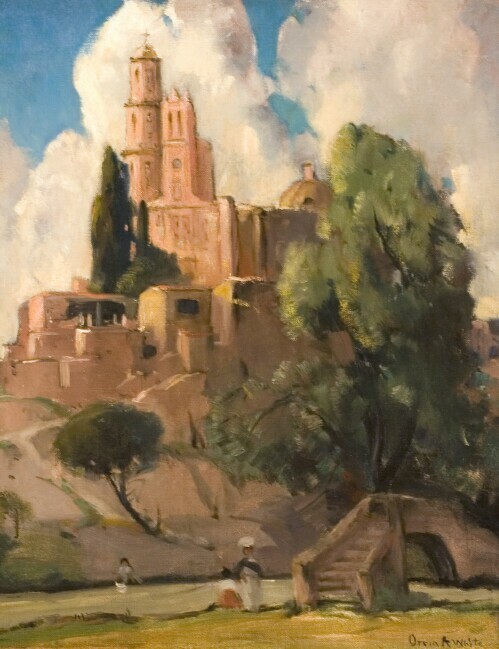 Exhibited : Panama-Pacific International Exposition, 1915; Battey Gallery, Pasadena, 1916 (first solo); Stendahl Gallery, Los Angeles; Golden Gate International Exposition, 1939; Los Angeles County Museum of Art, 1940 (solo). Awards : silver medal, Panama-California International Exposition, San Diego, 1915; Huntington prize, California Art Club, 1921. Works held : Los Angeles County Museum of Art; State Museum, Springfield, IL; Montclair (NJ) Museum; Cleveland Art Museum.